Carroll’s International Relations program is designed to provide students with the training necessary to pursue careers in international business, government, law, teaching, and other related fields. Through this interdisciplinary program students gain the knowledge and skills to understand and improve our interconnected world. 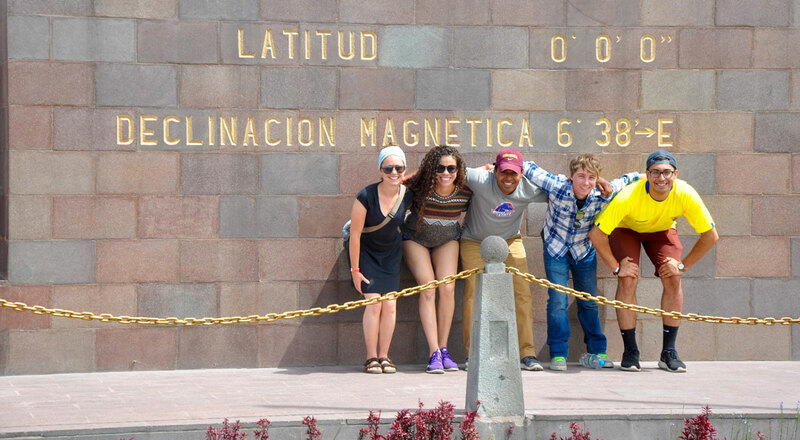 We encourage and help students take advantage of chances to study or intern abroad. International Relations is one of the hottest fields for young people emerging into the job market. Now more than ever, the global economy and international peace are critical to everyone’s life, and a degree in International Relations from Carroll College will usher you into a career where you can be involved with such vital issues as globalization, diplomacy, international conflict, and human rights. Possess a general knowledge and understanding of this interdisciplinary field. Think analytically, critically, and are able to utilize research methodologies appropriate to the field, as demonstrated in the Senior Seminar. Communicate effectively and collaborate well with others. Are prepared for successful graduate study and professional careers. In April 2018, Matthew Eussen, Political/Economic Section Chief, U.S. Embassy in Armenia and Carroll College alum ('96) spoke at Carroll's undergraduate research festival. Mr. Eussen presented "The Enduring Role of Values in U.S. Foreign Policy." This event was made possible by the support of the Jack Miller Center through a grant from the M.J. Murdock Charitable Trust. Dr. Erik Pratt introduced Matt Eussen to the crowd in the Carroll College Flex Theatre at the Student Undergraduate Research Festival. Recent Carroll international relations graduates have gone on to pursue Master’s degrees at universities such as Arizona State University, University of Montana, and University of Denver.